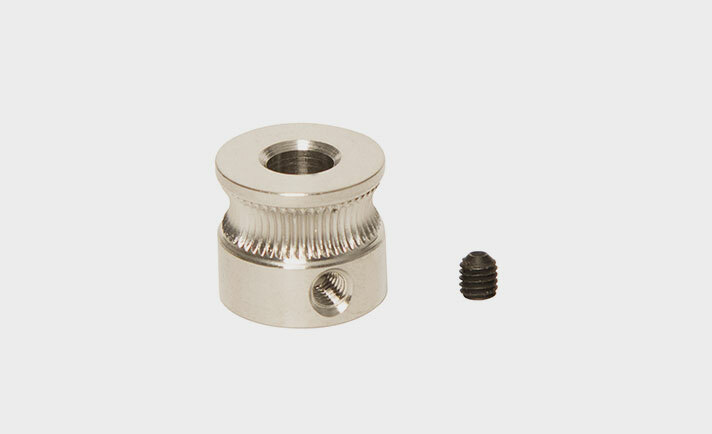 This is a new stainless steel machined pulley for the Stepstruder® MK7! This is made of the same machined stainless steel (304) used in the previous extruder gear, with new dimensions to better fit the 5 mm shaft of the NEMA 17 used in the MK7, same effective diameter of 10.56 mm. If you need a replacement gear, or you're designing your own custom project, this is the part!